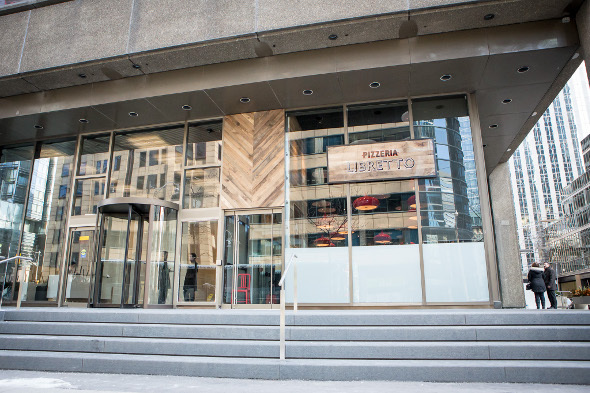 Pizzeria Libretto has opened a Financial District outpost, a massive dining hall on University at King that will serve as a bastion for business lunches. 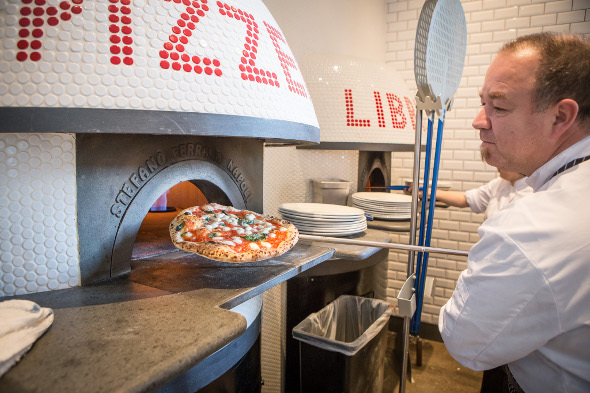 The third location of Rocco Agostino's VPN-approved pizzeria is seemingly an instant success. 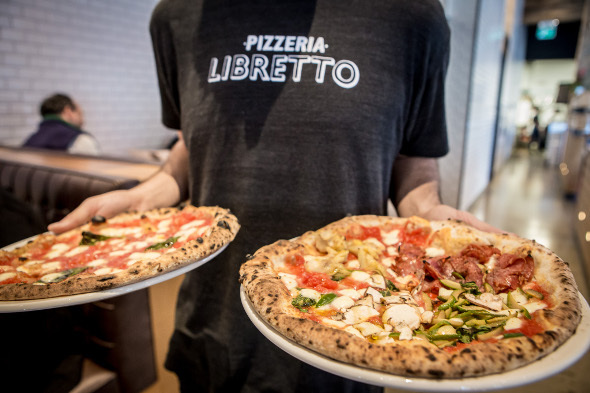 Business is booming at lunch hour with office workers flocking in to enjoy the already-recognized menu of signature pizzas and fresh Italian fare in an informal setting. The sleek dining room features chevron-patterned wood panels, white subway tiles and tufted leather booths. At the heart of the operation is the open kitchen with dual Ferraro ovens blazing away in the back. 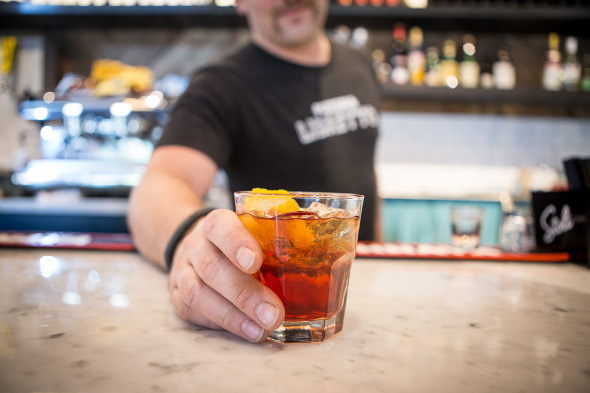 Three-course prix fixe lunches featuring a choice of beet caprese or arugula salad, followed by a margherita or marinara pizza, then biscotti or scoop of gelato to finish, is attractively priced at $15. Purists will easily be pleased, but for me the a la carte menu is so much more inspired. The Rocco's salad ($12) is especially vibrant, featuring a mix of peppery greens speckled with sweet butternut squash, beets and earthy Brussel sprouts. 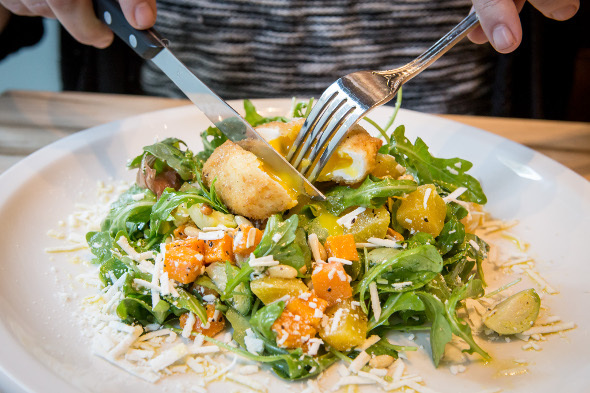 Pingue prosciutto and shredded ricotta add a salty component while a crispy poached egg that spills runny yolk when broken gives it a lovely luscious quality. 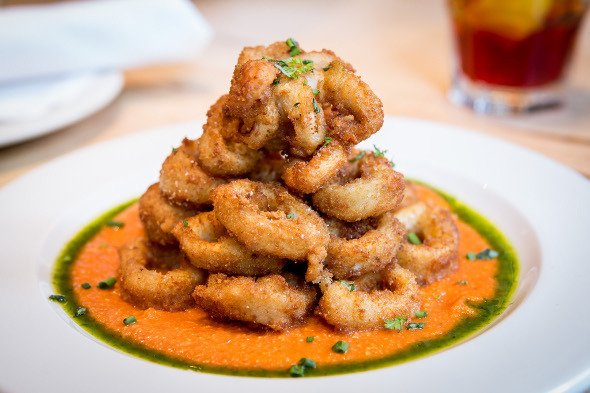 Buttermilk calamari ($12) is a solid dish too; the mountain of crunchy, coarsely-breaded golden rings is piled over a base of red pepper almond romesco that offers a cold and sweet contrast when dipped. 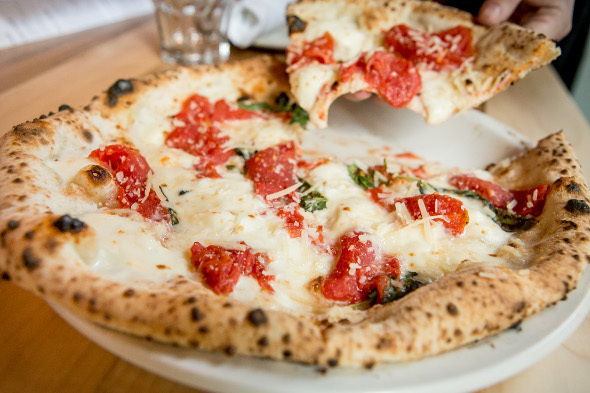 Of course the line-up of thin pizzas are the workhorse on the menu and there are a dozen to choose from, including all the established favourites found at the Ossington and Danforth locations. To drink, choices include a mainly Italian list of wines by the glass ($9-$12), quarter litre ($15-$19), half litre ($28-$38), or bottle ($45-$55). 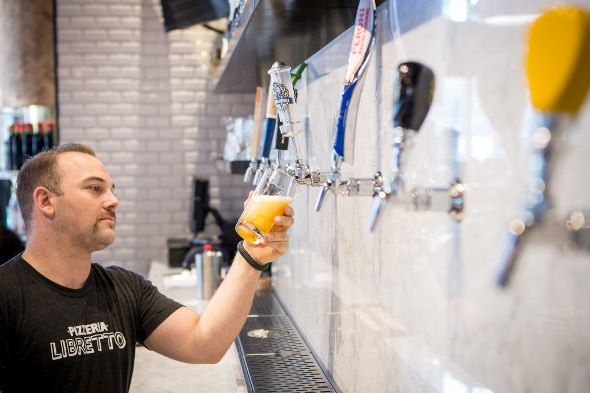 On draught you'll find local selects like Steam Whistle and Italian staples like Peroni, while the brief cocktail list covers classics like Negroni ($12) along with seasonally inspired features. Service is swift but reservations are still advised during peak hours, which commence the moment doors open for lunch.